If you have been driving across Times Square in the past few days, you may have come across a huge billboard. What is so exciting about a billboard? Yes, it is if it features a turbaned Sikh elderly gentleman. 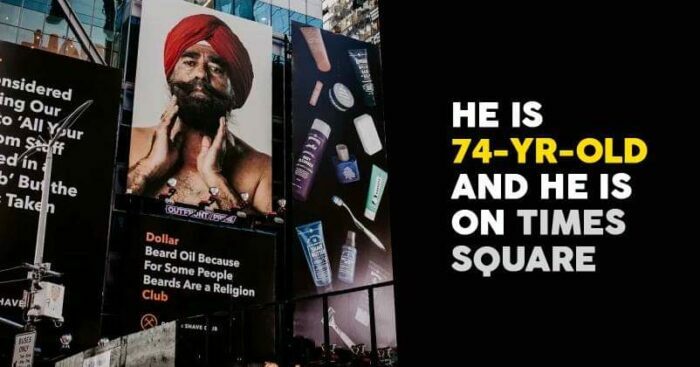 So in case you have not seen it and happen to be in New York City, then waste no time and go click a selfie with this unusual model, making Sikhs and Indian Americans proud. 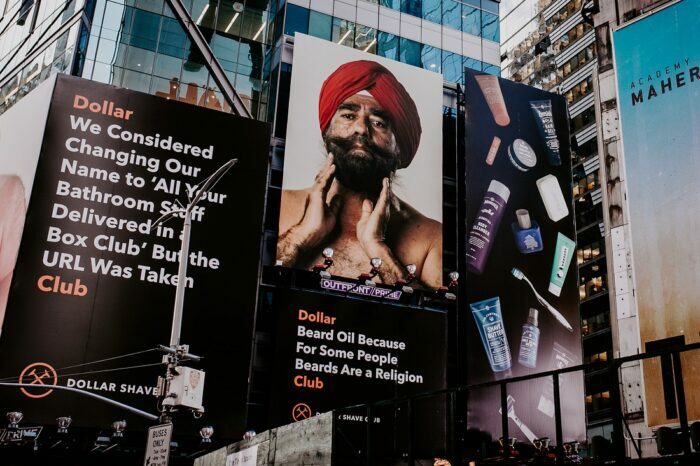 There’s a new Indian American on the country’s most coveted billboard. 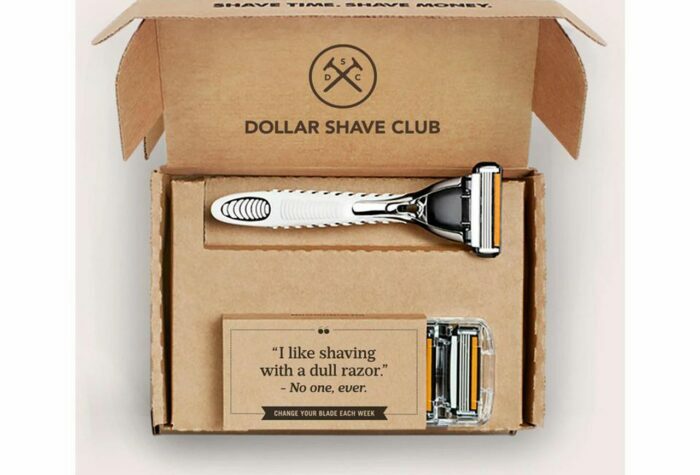 Dollar Shave Club with this strategy has been able to gather everyone’s attention. Very strategically have they used their tagline to gather support from different parts of the world. Observing very carefully, we see Pritam Singh was used as a prop by the company to market its products in the global market. Also, the company had advertised itself well enough for convincing people to come and give auditions. They created a good hype for the auditions so that many could come for it even though their eyes were on a particular section of the contestants. This shows that a company can easily make an impact on the market if it has the right strategy, right timing, the right audience to advertise. Dollar Shave Club with this also showed the importance of Indian culture in the global market. Let’s hope other companies learn how to strategically plan in marketing from this a mere shaving and grooming product company.